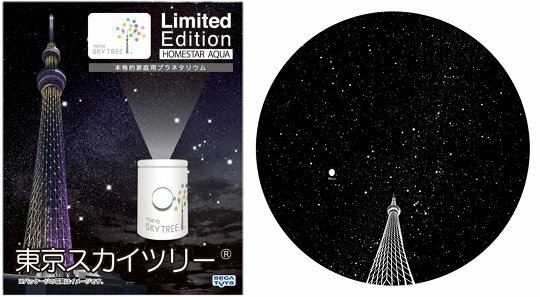 Sega Toys have collaborated with the designers behind the new Tokyo landmark to create the Homestar Aqua Sky Tree, a home planetarium that displays the beautiful night sky visible above the rising tower in the east of the city. A special version of the popular mini Homestar Aqua, the Sky Tree plantetarium is splash-proof and can be enjoyed at bath time. 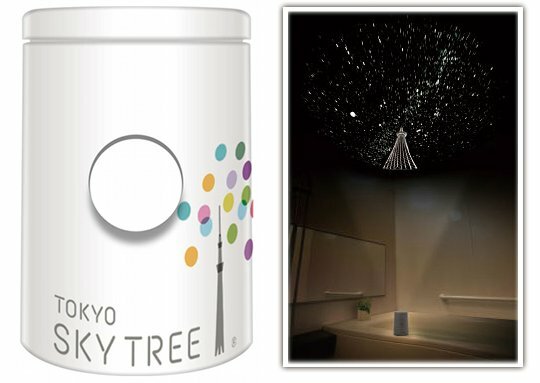 Just put it next to your bath and gaze up at the thousands of stars and constellations, with the symbolic tower illuminated too in all its glory.